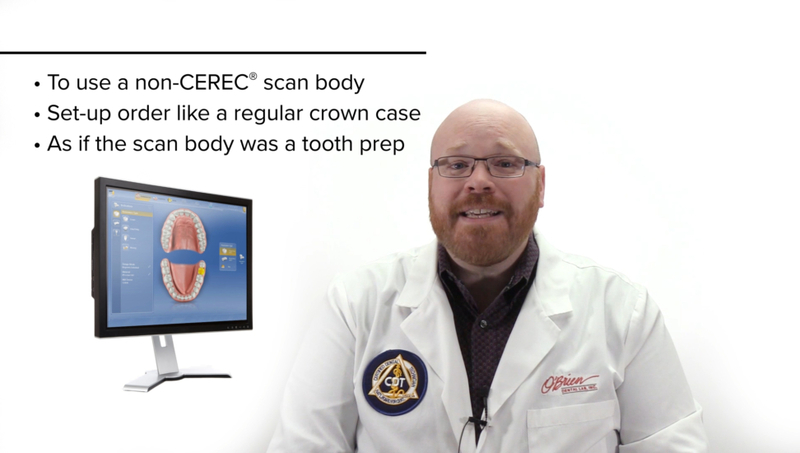 Implant Specialist and CDT Alex Rugh explains the process of using a CEREC® scanner for taking implant impressions. Taking intraoral implant impressions with a CEREC® scanner is easy but requires different parts and case setup if you are sending the impression to a lab. The CEREC® scan bodies and scan posts will only work for milling abutments with a CEREC® mill. If an abutment from another manufacturer is desired, a different scan body is required.